A fresh and captivating offering for elementary science units on entomology. Overall this tale has a fantasy world with a fresh concept and would be best suited for large collections where more fantasy is needed. A strong choice for all YA fantasy shelves. 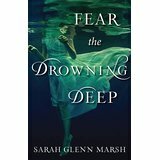 Recommended for collections in need of a new paranormal romance series.